For a long time patients asked us if it was possible for them to have dental procedures carried out under sedation. Previously we offered oral sedation – a drug which needs to be taken at least 30 minutes before the dental procedure and which takes a few hours to “sleep off” after the procedure is finished. Driving and working would not be possible for the rest of the day. Now nitrous oxide (laughing gas) is available for every procedure from cleaning to root canals and implants. 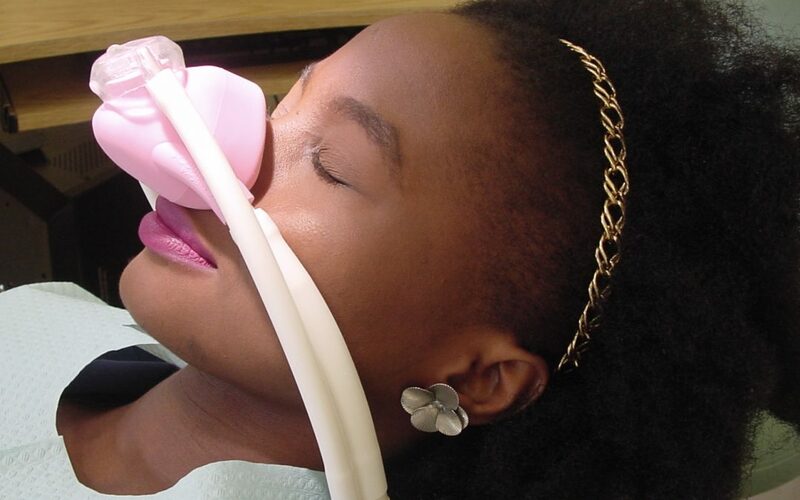 This form of sedation is a rapid on-set form of sedation – the gas takes 3 to 5 minutes to take effect and it takes just 5 minutes to completely reverse the procedure. Patients are able to walk out of the surgery afterwards and drive a car. We would be delighted to discuss the process in more detail and Dr Pretorius can demonstrate the how easy it is to use.